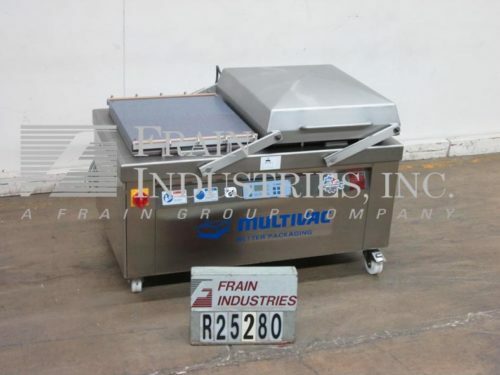 Heavy Duty band sealer. Capable of sealing poly bags and other heat sealable industrial materials. Equipped with trimmer, dual heat and chiller zones, bag top carrier chains for heavy bags and overtaper for added seal. Capable of sealing up to 20 mil – depending on materials, application and machine configuration. 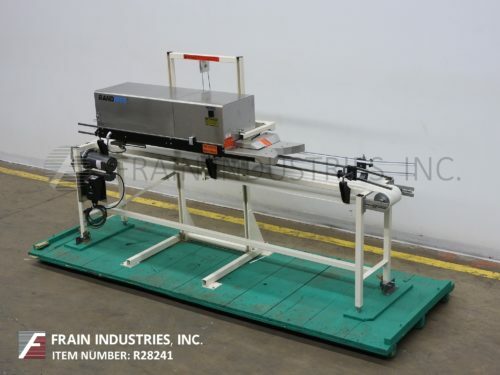 Additionally features a 11" wide by 14′ long conveyor and recirculation chiller.